Baked Oatmeal is just one of those things that makes you feel warm and happy inside. It’s so filling and delicious. I love feeding my family wholesome foods that they all love. When I announce that’s what we will be having for breakfast, it’s cheers all around! We like to fix baked oatmeal on mornings that we are busy or in a rush to get out the door. It’s so easy because we can soak it overnight and then bake it in the morning while we do chores and get ready for the day. We also like to make a large enough batch to have leftover the breakfast or lunch the next day. 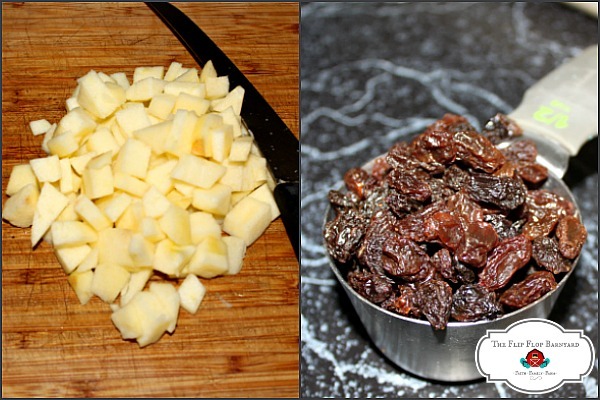 I also love the fact that I can fill the oatmeal with healthy things like apples and raisins. That’s just an added bonus for getting more nutrition into my kids. Every mom loves being able to get wholesome food into their babies’ bellies. We start by measuring out our oats and milk and mix them together in a bowl. We like to add a tablespoon or two of an acidic medium (vinegar, lemon juice, whey, etc…) to soak the oats in overnight in the refrigerator. The helps to break down the phytic acid and anti-nutrients which makes the oats more easily digested and the nutrients in them absorbable. 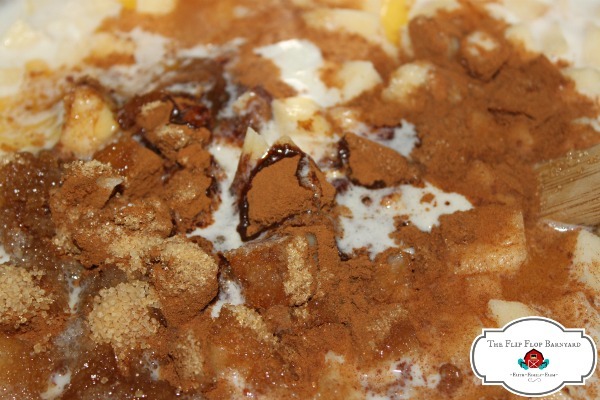 In the morning we add organic raw sugar, maple syrup, cinnamon, and and fruit add-ins. We mix this well and pour into a 9×13 pan. Bake at 350° for 40 minutes. This is such a super simple recipe for such a delicious healthy meal. 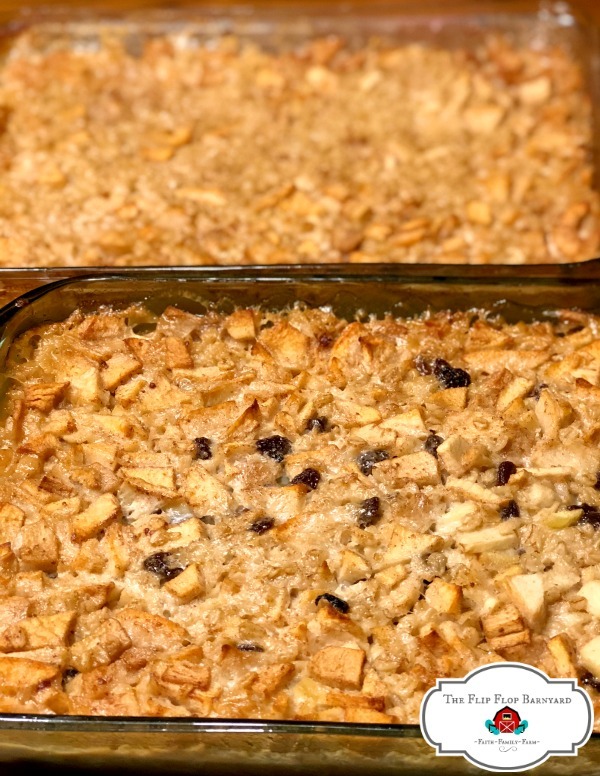 I like to think my kids will grow up with warm and happy memories wrapped around eating baked oatmeal at our breakfast table. I hope they will carry on this tradition with their children as well. 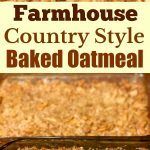 This is a delicious and east to make filling breakfast of baked oatmeal. Mix oats and milk in bowl, place in fridge to soak overnight. Add in remaining ingredients and mix well. Pour into 9x13 pan and bake at 350 degrees for 40 minutes. This sounds and looks delicious! I can’t wait to try it. Thanks! It is so good. Is this rolled oats or steel cut oats? This looks yummy. I’m just wondering if the oat and milk amounts got switched. Thanks! No, the amount is correct. 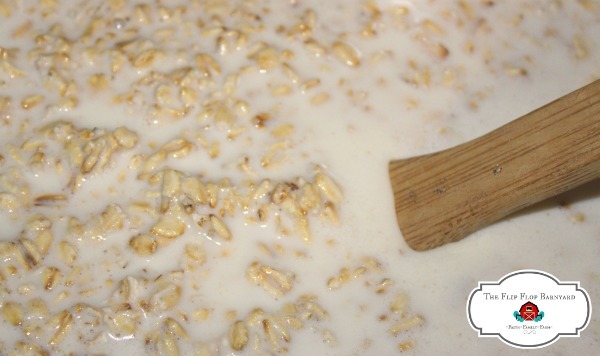 The liquid is double the oats amount because the oats will absorb the liquid and swell.